We love Asian inspired foods in our house so this dish hits the spot totally. You get the great sweet and sourness in just the right balance, perfect for adults and children alike. Even though the recipe lists uncooked meat I used leftover pork which worked perfectly and I also think this could be a winner for using up any leftover 🦃 at Christmas. 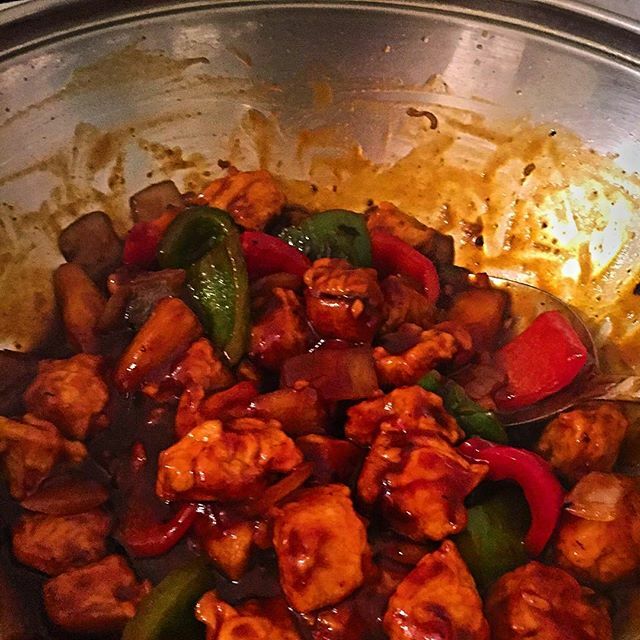 Mix together the sweet and sour sauce ingredients. Start by cubing the meat, vegetables and pineapple into small bite sized pieces. Mix together the flours, salt, egg and enough water to make a single cream consistency. Heat your deep fat frier or enough oil in a deep pan to batch fry the pork. Place the pork pieces into the batter and make sure they are well coated. Once the oil is hot, deep fry the pork pieces until they turn golden brown. Use a slotted spoon to transfer onto kitchen paper to drain. 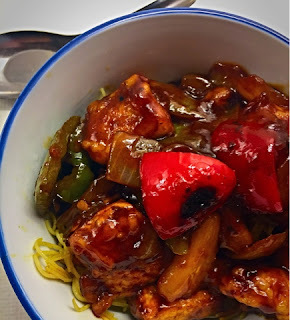 Heat a splash of oil in a wok (or large pan) and stir fry the vegetables, once the veggies start to cook add the pineapple, add the sweet and sour sauce, once it starts to bubble add the pork to the pan, cook for a couple of minutes then serve with either rice or noodles.